Remember those small tart candies called "lemon heads"? First tart, then a sweet little ball that melted in your mouth? 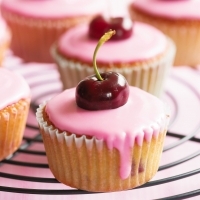 Re-create these treats with this recipe. The soft frosting is first a punch of lemon, then a relaxed breeze, all the while retaining a gotta-have-another-cupcake texture. add the milk, and quickly cream it into the butter mixture. :( bummer, this came out way too thin. This would be fine as a glaze I guess. Too thin for me. It was a warm night, so that could have been part of it, but it was definitely un-pipe-able . I added enough more powdered sugar to get the consistency right and added a couple drops of lemon extract to balance the extra sweetness. I added a pinch of salt because I like the way it rounds out buttercreams (and my butter is unsalted so I can control how much salt is in my cooking). It was pretty good after that. 6 drops of yellow food coloring were prefect for a cheery and lemony, but not fake looking yellow. So so so so good! Perfect instructions and just delicious. Thank you. This is a really bad version of a basic lemon frosting. The components are all there, but the instructions on how to mix them together are completely off. When making frosting, one generally creams the butter and sugar together, then adds liquid to the desired consistency. This recipe has you do the opposite. Additionally, all the liquid should be added BEFORE doing the final high speed creaming step. Adding liquid after this ruins the consistency. When lemon frosting is good, it's GREAT!! this one sounds like a winner! Sounds great! 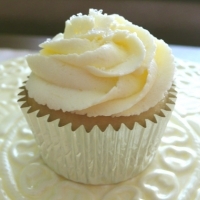 I love buttercream frosting and I love lemon so together, it has to be awesome! This will be perfect for my lemon meltaway cookies - thanks for sharing it! Like paperdollpeople's recipes? Never miss an upload!